If you have any idea of how the education systems in foreign countries work, you’ll know that many students prefer to take up summer internships while they study. 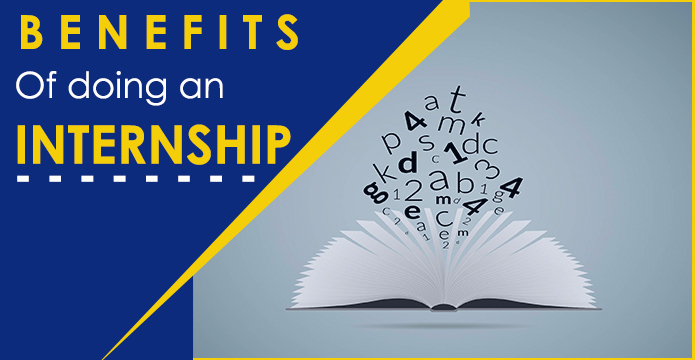 Apart from the obvious reason of an internship looking great in a resume, have you thought of the advantages of doing an internship in India? Find out how you can give your career a massive boost right from the beginning by taking up an internship while you study. Take a look around you. How many students in your college are doing internships in India while you are in your FY or SY? Not many, we suppose. This by itself is an advantage of doing internships. If an employer has 2 identical candidates with everything else being the same except that one of them has interned during his/her college years, who do you think the employer is going to prefer? It’s not rocket science; the person who has done internship during college will get an obvious edge during any job interview. If you thought that only marks will get you the top job you’ve always wanted, we suggest that you wake up to the reality of the job market. By networking, we mean developing contacts and making professional connections within the industry you are looking to work in. If you work as an intern during your college years, you can surely call the contacts you’ve made after finishing your studies and ask them if there are vacancies that they know of. The best part is that you may even find a person who is willing to vouch for you as a referee on your resume. Day in and out we see students finding full time work in the company they’ve worked as an intern. This is one of the prime advantages of doing an internship in India. If you manage to impress the bosses by displaying your professional skill set, you may land a permanent job once you finish your education. Landing a job immediately after finishing studies without much hassle sounds like a dream come true, doesn’t it? That is exactly what you may get if you do an internship. Is your education giving you second thoughts about your career path? Well it is never too late to find out because you can do an internship while you are still studying to see if your career choice is actually what you want. An internship in India will give you a first-hand experience of what lies ahead. So no longer do you depend on career counselling institutes or those dodgy agents to give you advice on your career. Find out what is best for you by doing an internship in India while you study. You may be the brightest of students, but that does not ensure a top notch performance at work after you finish studies. The skills that arm you to perform well in the real marketplace in India will not be taught in any textbooks. You can only acquire them by working in an industry environment and picking up valuable professional, technical and behavioural tips. Internships offer you a chance to be armed with these tips before you even step foot into a work environment after your studies. After all, it is survival of the fittest, isn’t it? ← Reasons Education Loan in India is good for Students.